Constantinople did not require Patriarch Filaret of the Ukrainian Orthodox Church-Kyiv Patriarchate to withdraw from the elections to the office of the Primate of the new Church, as the Moscow Patriarchate alleges. Archbishop of Yevstratiy (Zorya), spokesman for the Kyiv Patriarchate, wrote this on his Facebook page. The hierarch reminded that, for decades, Moscow had fought against the autocephaly of the Ukrainian Church, and Patriarch Filaret was always the target of this struggle. “It is therefore not surprising that at the time when His All-Holiness the Ecumenical Patriarch Bartholomew and President of Ukraine Petro Poroshenko signed a document in the Ecumenical Patriarchate, which guarantees and brings closer the moment when the Ukrainian Church is to receive the Tomos on autocephaly, Moscow spreads yet another fake story. Its obvious purpose is to aggravate the situation, to spread controversy, to prevent the process that is now successfully drawing to an end,” wrote the spokesman of the Kyiv Patriarchate. According to him, the process of preparation for the Unity Council continues, it faces both difficulties and opposition to the "Russian world." “Standing as a candidate or not, that is, agreeing to accept or refuse to get nominated is the personal canonical and statutory right of Patriarch Filaret,” noted the hierarch. “However, it should be noted that the process of election and the nomination of candidates shall take place only at the Council, therefore all the talks prior to the Council can be held in the context of discussing opportunities,” he said. 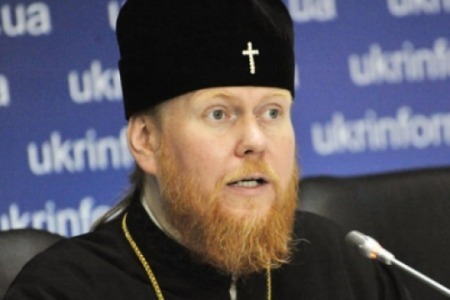 As reported, Chancellor of the UOC-Moscow Patriarchate Antoniy (Pakanych) said he was notified by insider sources that Constantinople had banned Primates of the UOC-KP and Ukrainian Autocephalous Orthodox Church from nominating their candidacies in the presidential election of the new Church.